⬅ Did You Have a R-ASH Wednesday? 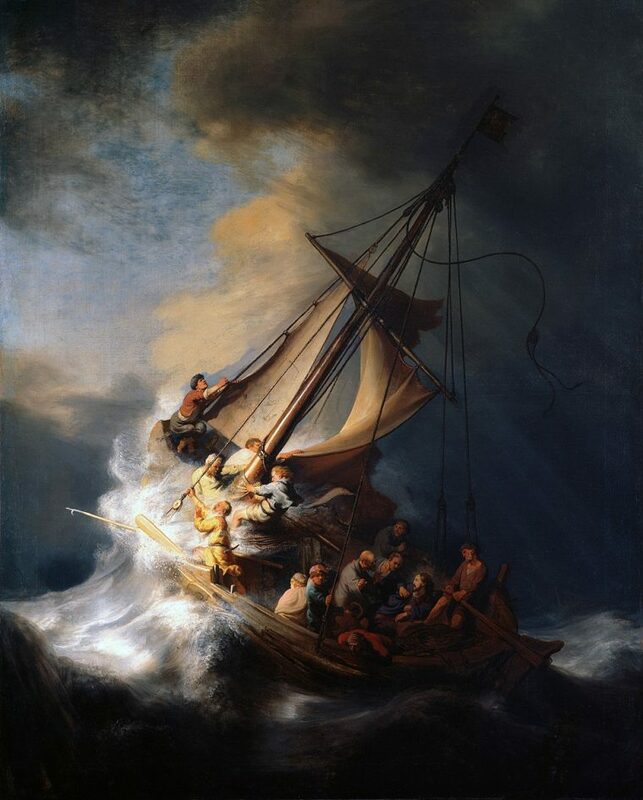 St. Peter certainly did when after he briefly walked toward our Lord on the surging waves of the Sea of Galilee. And you have to hand it to Peter. That’s exactly what Jesus says to us every day…”Come.” No matter what storm is raging in your life, you can walk over the crashing waves toward our loving Lord. That’s not pious sentiment for a Hallmark card or an “inspirational” cubicle poster featuring cats. There’s something in that passage most people totally miss that raises the whole story on a different level. Christ literally says, “Take heart, it is I: have no fear.” These words are far more than mere encouragement. In this brief episode I recorded in Jerusalem, I’ll tell you why Jesus’ word’s to the Disciples can totally change the way you view every struggle in your life. They’re the secret to astonishing faith. 019: The Kenosis of Christ As Model for Us…What? P.S. As a special Lenten gift, I’m giving you “Beer, Chocolate & Value-Added Suffering” for FREE. 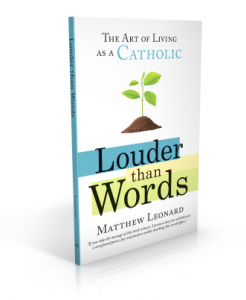 It’s chapter 5 of my book Louder Than Words: The Art of Living as a Catholic. Click the image of the book or the link above and it will come right to your inbox. God bless! Thanks Mathew so nice to get this book. You’re welcome! God bless and Happy Holy Week!